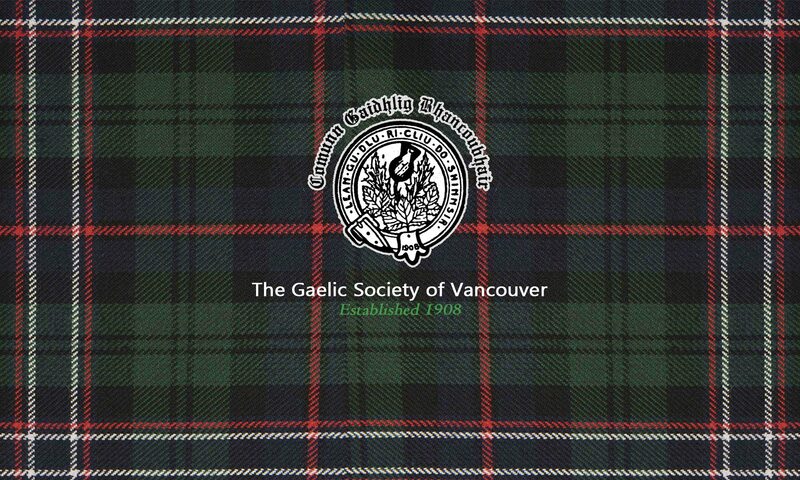 The Gaelic Society of Vancouver was formed in 1908 by a group of dedicated Gaelic enthusiasts who wanted to establish a society where they could meet and enjoy each other’s company and fellowship. The first meeting of the Society was held on February 8th, 1908 at the Sullivan Hall on Cordova Street, Vancouver. Lessons start on Saturday February 23rd, 2019, 10:00 am to 12:00 noon, and will continue for 6 weeks, to March 30, 2019. Saturday afternoon, March 2nd, 2019, starting at 2:00 pm. Saturday evening May 4th, 2019, starting at 8:00 pm. Saturday June 15th, 2019 at Lafarge Lake Park, Coquitlam. Further information about our events can be found under the ‘Events’ tab.